Comment 1. Assad father’s allies/operatives blew up my house in Amioun when my grandfather, then MP, voted for Bashir. In Skin in the Game I discuss this as “acting against one’s interest” (the opposite of conflict of interest). So as a scientist and a humanist, I have been setting my grudge aside in considering the far, far, far, greater cancer of Salafism or Islamofascism. Also note that the collapse of the Syrian state was anticipated in The Black Swan owing to such overcentralization. Comment 2. Recall that I am a statistician. When I took a look at the statistics of the conflicts, most appear to be fabrications inflated by Qatari-funded think tanks and their useful idiots — by a mechanism the Indians call “Salma told Sabrina”. For instance, we know that Hama’s toll was not the 30–40,000 people report but the only real evidence is closer to 2,000. Comment 3. One may ask: are the “rebels” all theocratic Salafis? No, but the groups became progressively so by the minority rule: you put a single Salafi in a group of five, and the five behave as Salafis. This, aside from Wahabi funding. Comment 4. 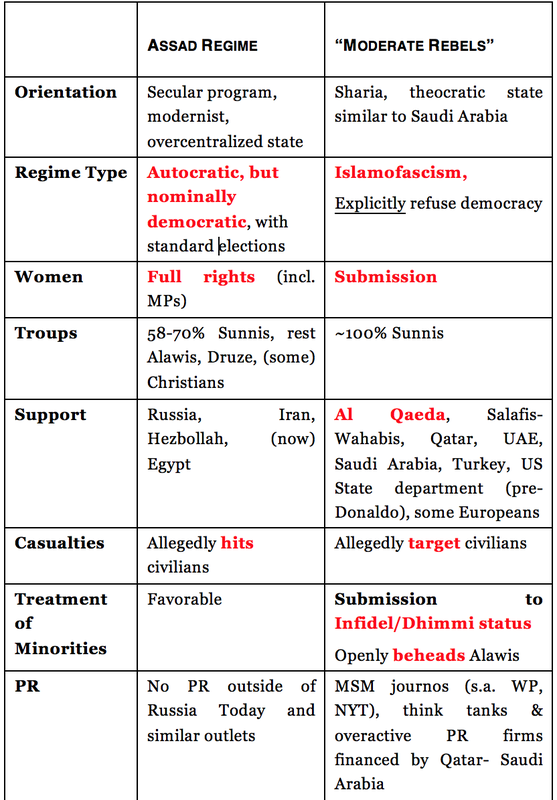 Counter-insurgencies (Army vs insurgents/terrorists, etc.) command a much higher rate of civilian casualties regardless of whether the army belongs to a liberal democracy or an autocracy. Comment 5. One may ask: are all people who are mourning the defeat of the rebels in Aleppo that stupid, so gullible to the think tank operators? My answer, alas, is yes. And it takes some financial and intellectual independence and a great deal of integrity to analyze matters outside the main narrative as think tankers jump on you like flies. Note 1. The fragility and impending collapse of the Syrian Baathist state was anticipated in 2007 in The Black Swan p 205 and discussed further in my Foreign Affairs article The Black Swan of Cairo.